The extent to which you can improve your Units’ skills at the Training Center will have a huge influence on how well you progress in the game. However, Drill Instructors – needed to improve Unit statistics at the Training Center - are one of the rarest commodities in Soldiers Inc. As such, it is prudent to know the best way to utilize them and to maximise your advantage from their effects. The first thing you need to recognize is that each Level of the Training Tree can only become active when the Training Discipline above it has reached the required Level. This means that you will have to assign both Drill Instructors and your own time to upgrade each Training Discipline one by one, at least before the Tree “branches out.” However, this will eventually allow you to improve the statistics that are most important to you. Extensive waiting and spending Drill Instructors on unwanted skills can be frustrating at times, because you may not care about many of the steps. However, most of the prerequisite Disciplines do not need to be upgraded in their entirety to ensure that the next Training Discipline becomes unlocked. You should make efforts to find out which skill would be most useful for you. 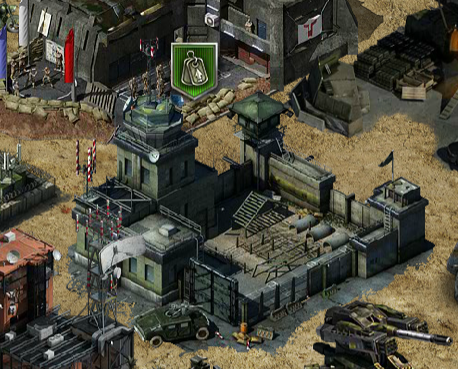 New players to the game sometimes struggle to generate enough Resources to purchase Upgrades in the game and hire Units at the same time. This is especially true for Rations, which are at a premium because they are consumed by the Units themselves. In this case, it would be sensible to apply your Drill Instructors as lightly as you can higher up the tree, so that you can get down to the Rations Consumption Reduction Discipline as quickly as possible. 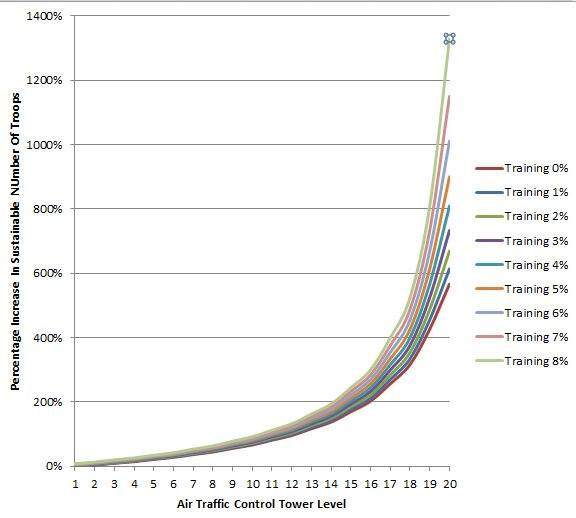 Although this may seem like a lot of Drill Instructors for a very small decrease in Rations Consumption, when you add the 8% Reduction provided by the Training to the 85% Rations Consumption Reduction that Air Traffic Control can offer, it allows you to maintain a much larger army at your Base. This is clearly shown by the chart below. Once you have your Ration Consumption under control, you should concentrate on upgrading the other Training Programs in that part of the Tree. For example, if your Combine holds Mining Complexes, it would be wise to assign a Drill Instructor to “Veterancy Cost”: this will reduce the funds needed to upgrade your Units to Veteran Status at Mining Complexes. Another safe bet would be “Combat Experience,” which will allow you to Level-up faster. After that, where to assign your Drill Instructors is a matter of personal preference. I would recommend concentrating on reducing the Build Time of the Units you send into PvP Battles or Search and Destroy Missions most regularly. The faster you can build them, the faster you can convert them into bigger and better killing machines! WHAT HAPPENS IF I MISASSIGN MY DRILL INSTRUCTORS? Putting Drill Instructors in the wrong place is a common mistake, and one that is made by most new players. Fortunately, you are able to make one reassignment for free, and more with the use of an Assignment Chip. This will allow you to make one “set” of reassignments. Yes, it is slightly expensive. However, you will get one of these for free on the 30th consecutive day you log into the game, so if you are a regular player, you may have one or more already. However, there is a right way and a wrong way to use an Assignment Chip. The wrong way is to use them to un-assign and re-assign one Drill Instructor at a time. The right way is to un-assign ALL the Drill Instructors you want to recover at once with one single Chip. In short - maximum reassignments for your Diamonds! 2. Click on the Training Disciplines with Drill Instructors that you would like to move. 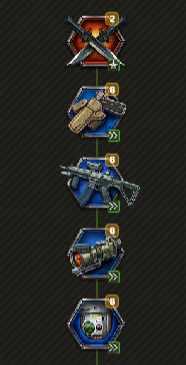 The icon will be marked red when you can’t remove any more from a specific Discipline. 3. When you are sure you have removed all the Drill Instructors you want to change, press the “Assign” button. The Drill Instructors you have removed will be added to the counter at the top of the window. 4. Assign all remaining Drill Instructors to the areas you would like to improve. Make sure you haven’t made any mistakes before pressing the “Assign” button, as there is no turning back once the Chip has been spent. Remember, you cannot break “branches” of the tree, and the pre-requirements for each Discipline you have Drill Instructors on must always be met. This article was written by player Trevor German, who granted permission for it to be posted on Plarium.com. Any thoughts or views expressed herein are the player's own, and do not necessarily reflect the views of Plarium Global.